Baibordi, A., Bina, M., Amini, K., Dehghan, A. (2012). Investigating Tribological Characteristics of Ni-P and Double–Layered Ni-P/Ni-B Electroless Coatings Applied to the Carbon Mild Steel Ck45. International Journal of Iron & Steel Society of Iran, 9(2), 1-4. A. Baibordi; M. H. Bina; K. Amini; A. Dehghan. "Investigating Tribological Characteristics of Ni-P and Double–Layered Ni-P/Ni-B Electroless Coatings Applied to the Carbon Mild Steel Ck45". 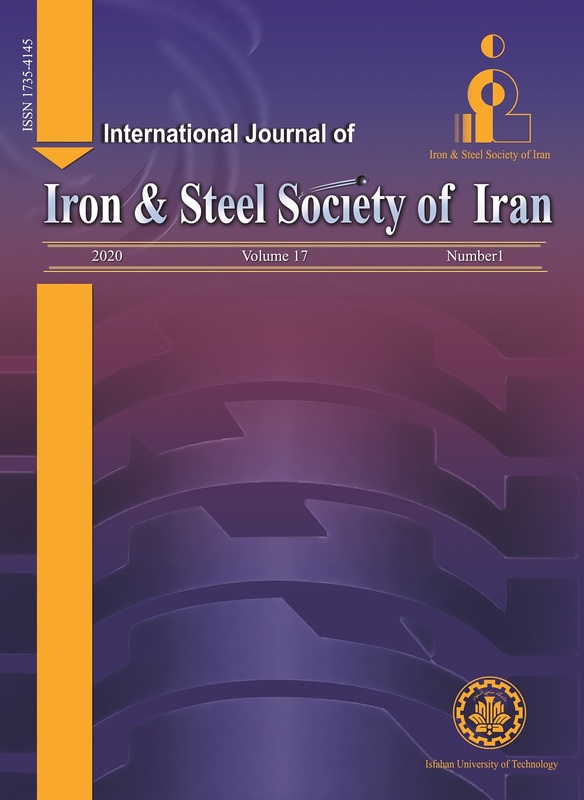 International Journal of Iron & Steel Society of Iran, 9, 2, 2012, 1-4. Baibordi, A., Bina, M., Amini, K., Dehghan, A. (2012). 'Investigating Tribological Characteristics of Ni-P and Double–Layered Ni-P/Ni-B Electroless Coatings Applied to the Carbon Mild Steel Ck45', International Journal of Iron & Steel Society of Iran, 9(2), pp. 1-4. Baibordi, A., Bina, M., Amini, K., Dehghan, A. Investigating Tribological Characteristics of Ni-P and Double–Layered Ni-P/Ni-B Electroless Coatings Applied to the Carbon Mild Steel Ck45. International Journal of Iron & Steel Society of Iran, 2012; 9(2): 1-4. In this research, tribological characteristics of Ni-P electroless coating and double-layered Ni-P/Ni-B electroless coating were studied. For this purpose, Ni-P electroless coating with 25 μm thickness was initially applied to the surface of steel Ck45 samples; then, a double-layered Ni-P/Ni-B electroless coating, including inner layer of Ni-P with 15 μm thickness and outer layer of Ni-B with 10 μm thickness, was applied to the surface of similar samples and were heat treated at 400˚C for 1 h. Effect of heat treatment on morphology, structural variations and wear behavior of coating was investigated using different tests such SEM, XRD and pin on disk wear test at room temperature. Hardness of the obtained coatings was measured by a Vickers microhardness machine prior and after heat treatment of the samples. The results showed that the double-layer coating with the same thickness in each layer improved hardness and wear resistance compared to the single-layer coating. Heat treatment led also to the creation of nano crystalline structure; therefore, hardness and wear resistance of the coating increased due to change in structure from amorphous to crystalline structure and created rigid phases of Ni3P. Publications Ltd, England, (1991), pp. 12. Surf. Coat. Technol., 120-121(1999), 641. Thin Solid Films, 416(2002), 31. H. Zhang, X. J. Zhang and Y. K. Zhang: Plat. Surf. Z. Abdel Hamid and H. B. Hassan: Surf. Coat.